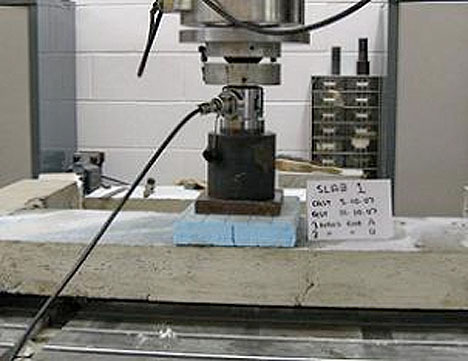 A new type of concrete can not only bend under 5% tensile strain, it does so by self-healing. 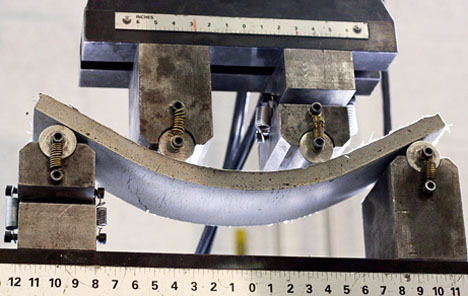 The material forms micro-cracks when bent, which then seal themselves after being exposed to water and carbon dioxide. What looks like an ordinary red brick on one side contains a waterway that can route water down the side of a building and into a basin for bathrooms, fountains, cleaning, fire fighting or irrigation. 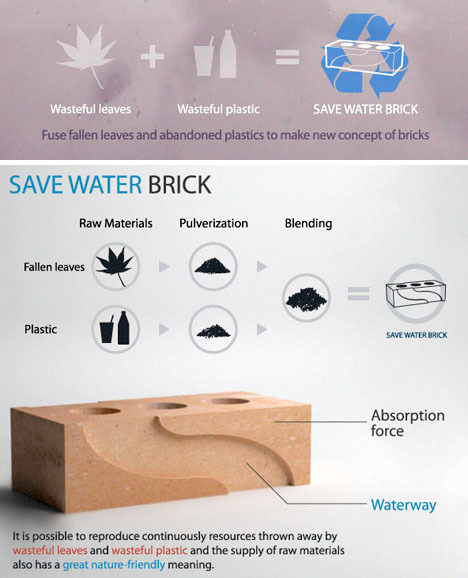 The ‘Save Water’ brick is made of pulverized fallen leaves and reclaimed plastic. 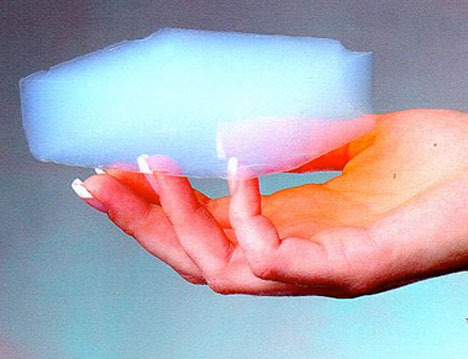 So light you can’t even feel it in your hand, aerogel has the lowest bulk density of any known porous solid, and it’s a powerful insulating material. Made up of a gel that has had its liquid component replaced by air, it’s thin, breathable, fireproof, strong and won’t absorb water. Manufacturers are now producing it in sheets as insulation, but it’s still pretty expensive. A composite material made of pre-formed wooden elements and metal layers actually enables lamps and other electronics to be plugged directly into the wood without any cables. 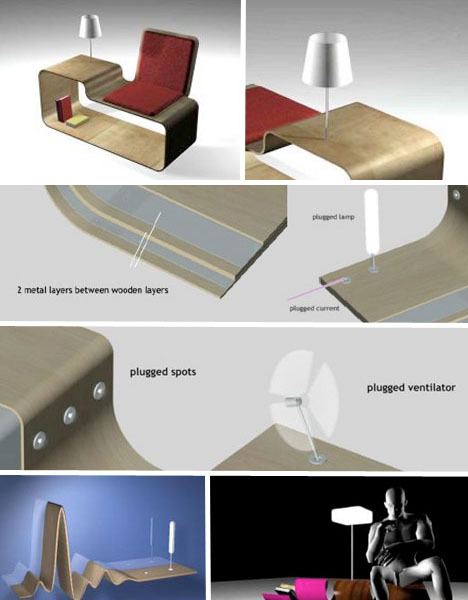 Developed by trans|alpin, the electrified wood material could revolutionize furniture. Safer at high temperatures than concrete, but just as versatile, ‘liquid granite’ is made of 30-70% recycled material and uses less than a third of the cement used in precast concrete. It could be used in building projects that require the top level of protection against fire.